JR Shimada Station on the Tokaido Line. It's about 30 min. 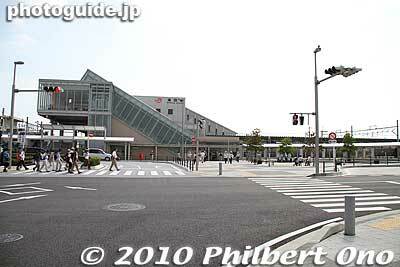 east of JR Shizuoka Station. On the right is the small plaza where they danced.